Every time after the holidays or after over-indulging on fried foods I always turn to Chinese soup to neutralize it. Chinese soups are so good to nourish and tune up the imbalance in my body. Chinese soups has great edible medicinal properties. Plus, soups are super comforting. 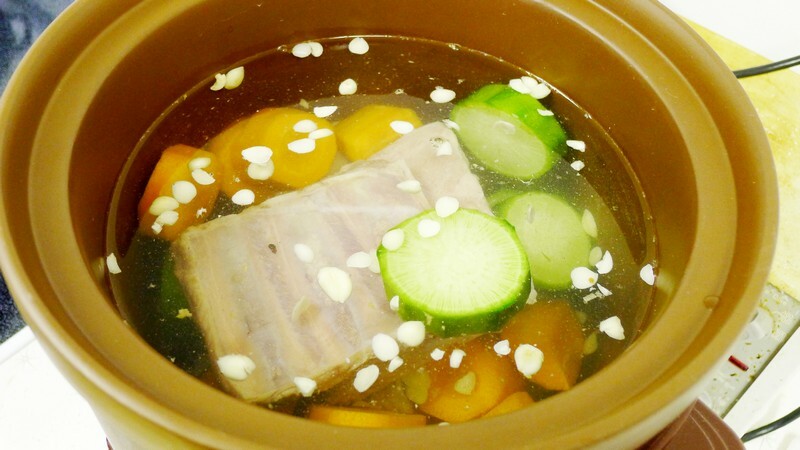 Green radish and carrots with pork bone soup is great to lower the “heat” ( 熱氣) in the body. 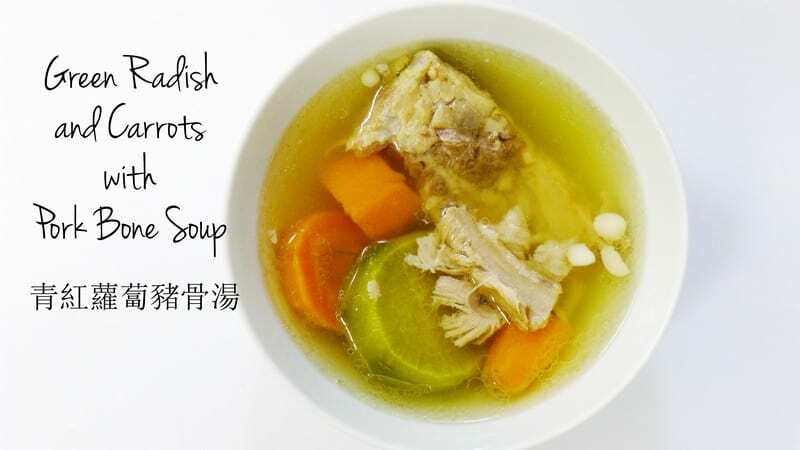 Green Radish and Carrot with Pork Bone Soup Recipe 青紅蘿蔔豬骨湯 is super easy to make. 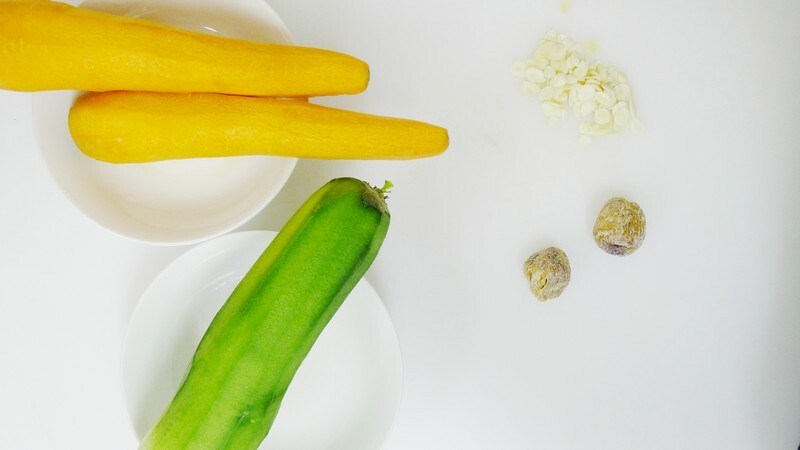 It is good for a cold and nourishes internal organs, de-stress and detox the body. Carrots are high in beta carotene and Vitamin A. The soup is ‘sweet’. The soup color is light orange color. I like to use both pork bone and chicken to added depth of flavor and complexity. Typically I would have pork bone or ribs handy in the freezer. Pork bones usually has fatty bone marrow to munch on as an extra dish for dinner. Dip it in some soy sauce mixed with some chili. They are excellent and delicious! What is your favorite soup? Let me know in the comments below! 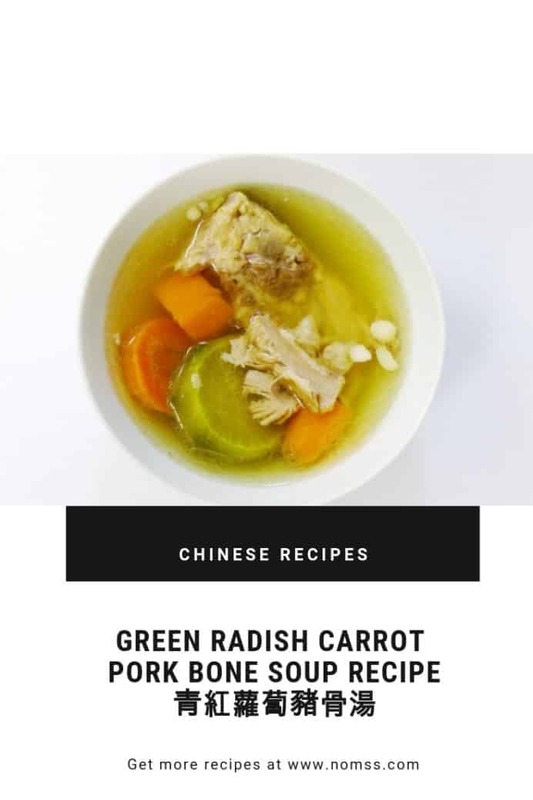 Green Radish and Carrot with Pork Bone Soup Recipe 青紅蘿蔔豬骨湯 is super easy to make. It is good for a cold and nourishes internal organs, de-stress and detox the body. 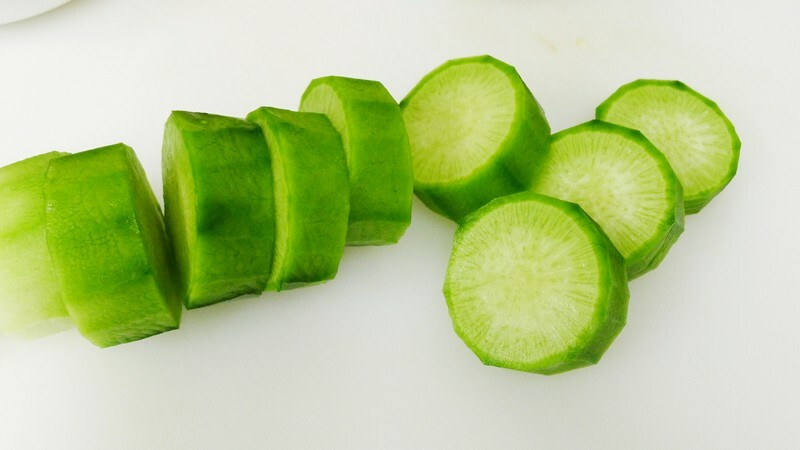 Carrots are high in beta carotene and Vitamin A.
Peel and cut the green radish and carrots into chunks. The same results can be achieved in an Instantpot. Set to manual high pressure mode for 1 hour.